Easter brings families together through the mystique of a big fluffy bunny, exciting egg hunts, and the first signs of warm spring weather. But what's one of the best Easter traditions of all? The basket! Easter brings families together through the mystique of a big fluffy bunny, exciting egg hunts, and the first signs of warm spring weather. But what's one of the best Easter traditions of all? The basket! While kids may expect a grass-stuffed wicker basket filled with marshmallow Peeps, Cadbury Eggs, and Jelly Belly Jelly Beans on Easter morning, there are great toys that will get little ones excited for the holiday without sending them into sugar shock. Eggs are an iconic part of Easter, from dunking the real thing into little bowls of dye, to feasting on egg-shaped versions of your favorite chocolate treats. 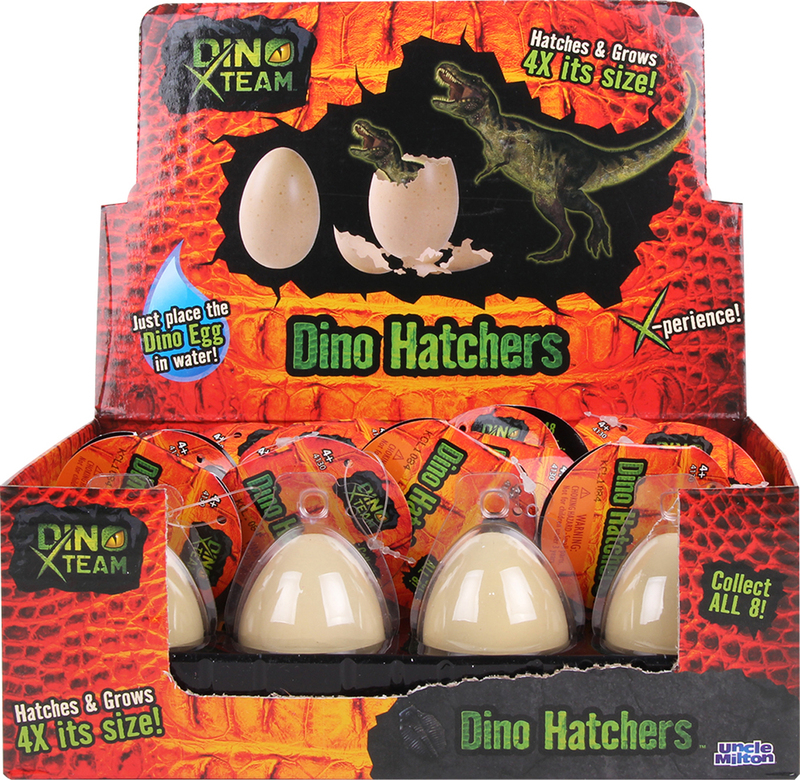 Dino Hatchers, from Uncle Milton's Dino X Team line, lets kids hatch a dinosaur from an egg and watch it grow four times its size. 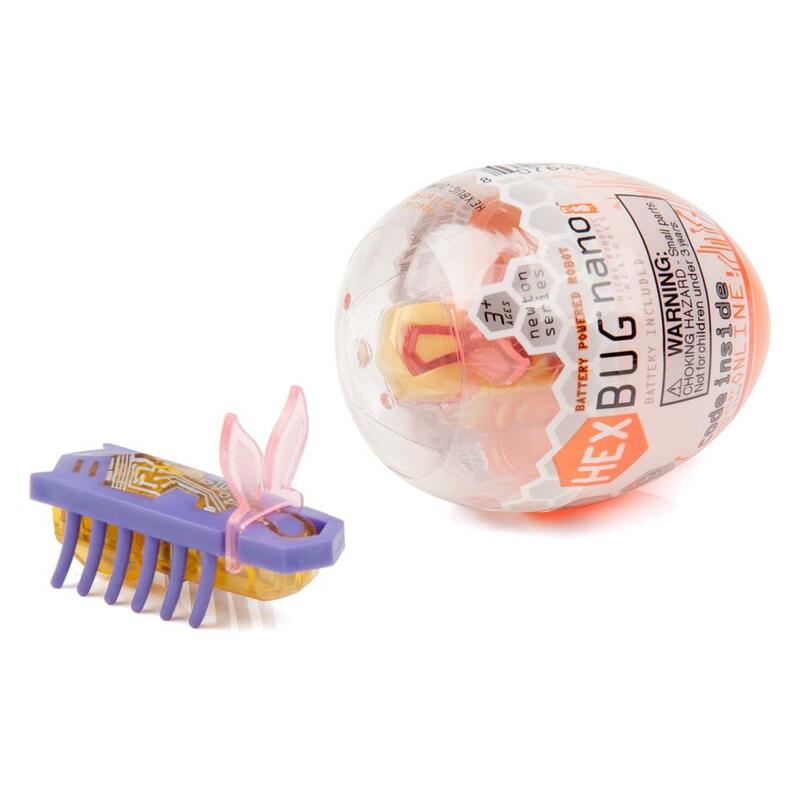 Hexbug also packages its Nano V2 robotic bugs in Easter eggs this time of year. Each pastel bug includes a little mini set of pink bunny ears, getting kids into the Easter spirit. It's also fun to bring kids' favorite characters into the mix, like with Bandai's Hatch 'N Heroes. Each figure comes in an egg shape, and with a few twists and turns, kids can transform them into their favorite characters, such as Baymax from Big Hero 6, Buzz and Woody from Toy Story, and Nemo and Dory from the upcoming film Finding Dory. 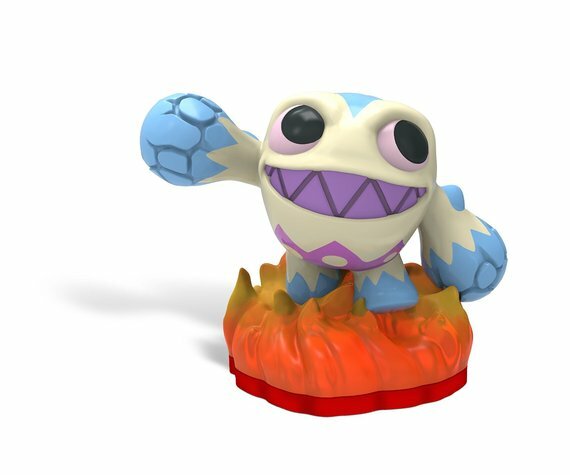 Some companies even release special edition Easter-themed characters, such as Activision's Skylanders Trap Team Easter assortment. The mini figures such as Pet-Vac and Eggsellent Weeruptor, along with the limited edition Bunny Earth Trap, will have fans of the mega popular video game going crazy on Easter morning. Cuddly plush toys are great for younger kids, and Easter has so many adorable iconic animals, like baby chicks and bunnies. 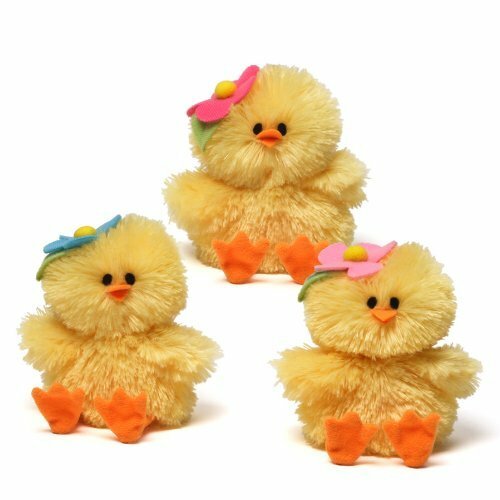 Gund's Chick-A-Dee Chirping Chicks feature colorful flower decorations and realistic chirping sounds. Never fear parents! Each chick's surface is washable for easy cleaning. 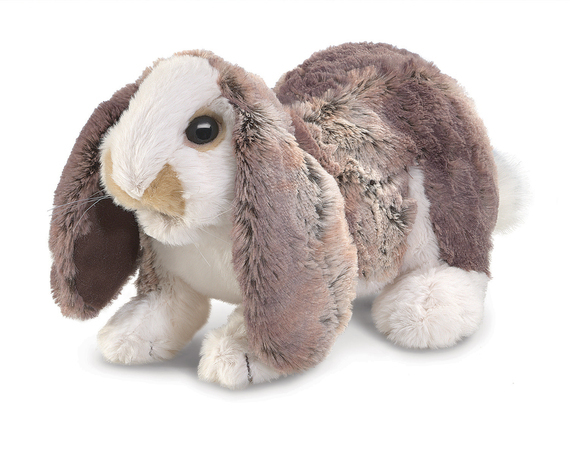 Folkmanis' Baby Lop Rabbit is a high-end plush puppet that kids can bring to life with their imagination. Kids can move the mouth and the front paws--and they will love this little guy's super soft fur. Easter marks the beginning of springtime, and that means it's time to get kids outside again. Add some fun outdoor toys into kids' Easter baskets that will get them excited to play in the sun. Washable Sidewalk Chalk Paint Markers, from RoseArt, come in four colors. 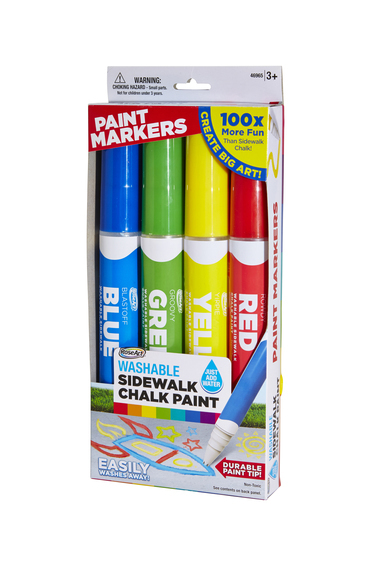 All kids have to do is add water and shake to create chalk paint markers that let them draw vibrant images right on the sidewalk. Collectibles are perfect for kids in the 6-10 age range. Small collectibles like Shopkins easily fit inside an Easter basket, and they are ultra affordable for parents. Kids love to collect these fun little figures modeled after grocery store items and fabulous mall finds. They can use Shopkins to top their pencils and trade with friends. Kids love candy -- but think outside the box and give them inexpensive toys with lots of play value instead of sinking money into too many cavity-causing sweets. Instead, only include their one favorite treat and a few toys that fit their personality, whether it's blind bag figures, special edition character toys, or something totally new you know they'll fall in love with.